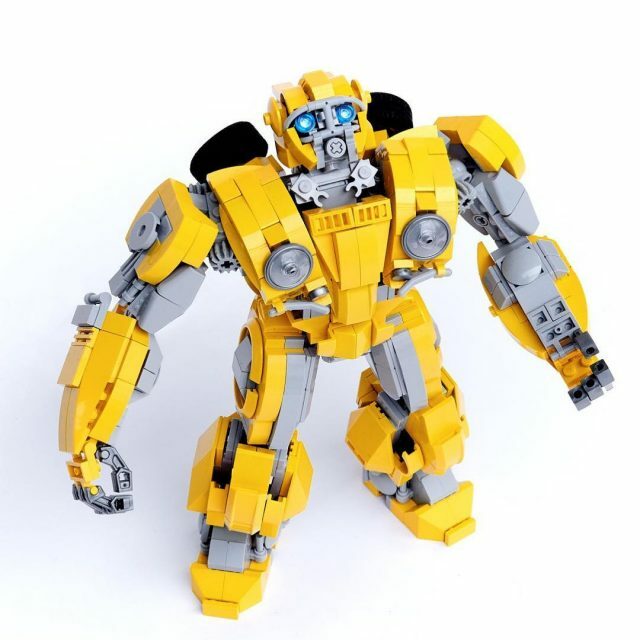 There have been many Transformers movies released over the last decade, and many LEGO Transformers have been featured here at TBB, some that actually transform, and some that are so detailed they boggle the mind. With the upcoming release of Bumblebee, this highly detailed model by ekownimako closely resembles its on-screen inspiration. From the gently curving eyebrows fashioned from the flexible stretcher harness to the handlebar parts that form the separated front fender. Check out some of the many other Transformers LEGO creations we have featured recently.